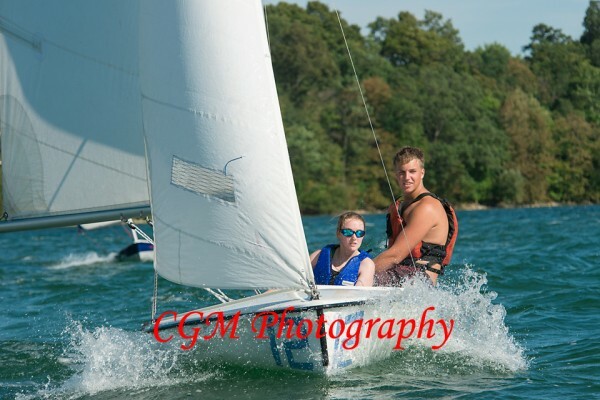 This past weekend, Culver Academy hosted its annual invitational sailing regatta on the shores of Lake Maxinkuckee. As always, the coaches and students of CGA and CMA hosted a nice event. The weather was sunny and beautiful but there was almost no wind. 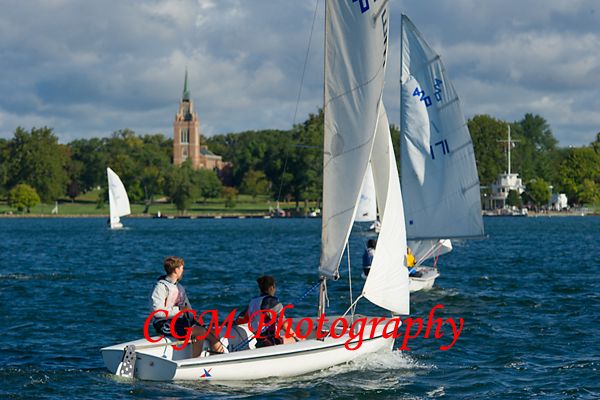 On Saturday, races were postponed until later in the day. 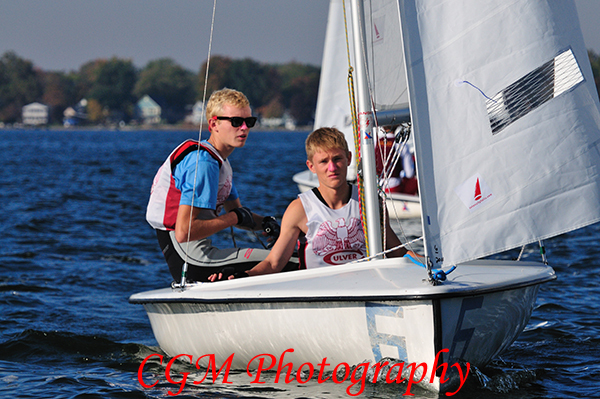 Sunday, after an hour postponement, the races were called off. I photographed what I was able to but with prior commitments later in the afternoon on both days, only a few races actually occured during the hours that I was there. 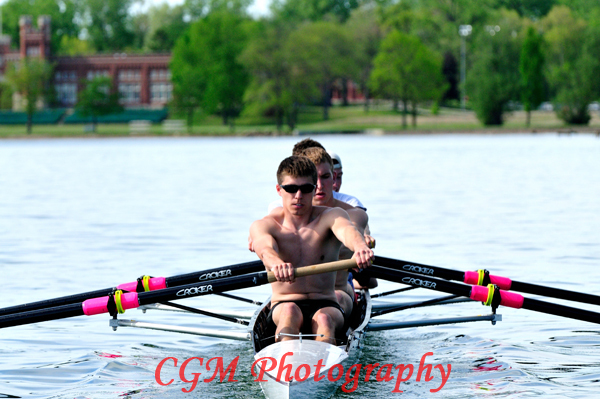 Yesterday, Culver Academies Coach Weaser was kind enough to let me tag along on one of the chase boats as the CGA and CMA Crew Teams practiced on Lake Maxinkuckee. The weather was nice and the lake was calm, though the winds picked up slightly as we progressed along the shore. The kids had a great practice in preparation for a large tournament in Cincinnatti this weekend that will have over 50 teams participating. I’ve posted some photos here. More photos are located at www.culverphotos.com. To simplify things, I’ve sorted the photos into girls (www.culverphotos.com/5_6_10_cgacrew) and boys (www.culverphotos.com/5_6_10_cmacrew). 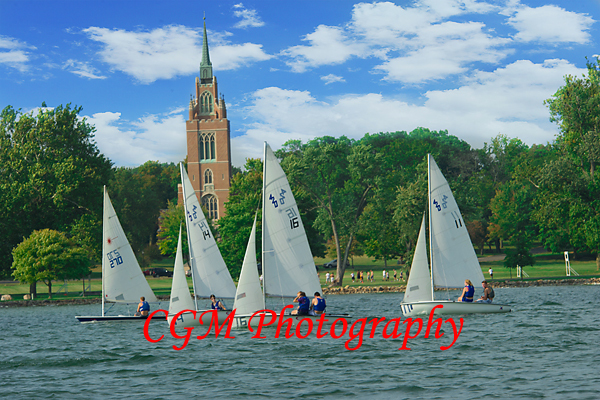 Yesterday and today, Ginny and I went over to Culver Academies campus and took some shots just at sunset. Tonight, we were fortunate enough to enjoy a full moon as it rose over the lake and cast a golden glow across campus. This is a collection of our shots on campus during this time of the evening when all is quiet on campus. It has been especially quiet the past two days, as the kids and faculty/staff are on Spring Break. It’s a beautiful time of the day to take a few moments to capture the quiet calm of campus and the lake. Ginny wanted to photograph all of the trees on campus. 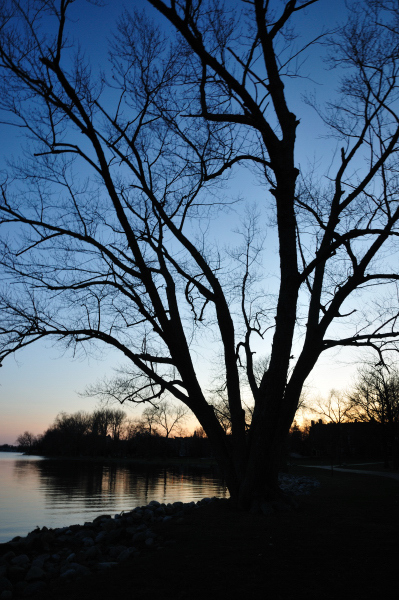 We hope you enjoy this collection of moments at sunset on the lake and beautiful Culver Academies campus. 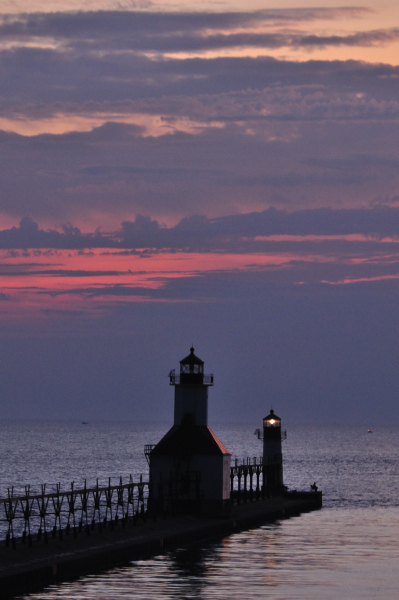 While nature photographer Corey Hilz was here, we (Grant and Corey) decided to drive north to St. Joseph, Michigan. We weren’t sure what we are going to see, but we thought it would be nice if we could catch a sunset. We did get some sunsets and other scenes, such as guys fishing, a beautiful light house, and some boats that seemed to play on the water the entire time we were there. In addition to what is included here, there are more of these photos posted at www.culverphotos.com. Ginny’s favorite are the ones with a pink sky. I like the lonely fishing pole. There didn’t appear to be a lot of fish coming in on those poles, but I thought they made for a good shot. I didn’t shoot them, but we also saw a lot of couples who came out to the pier just to see the sunset. I can honestly say that I know now why they do and I hope to take Ginny the next time I make that trip with a camera. Today, we (Grant and Corey Hilz) explored some of the many state parks located at the Indiana Dune’s waterfront. It was hot with a lot of hiking involved, but once the sun started to set, the shots were worth the sore feet I had when I got home. 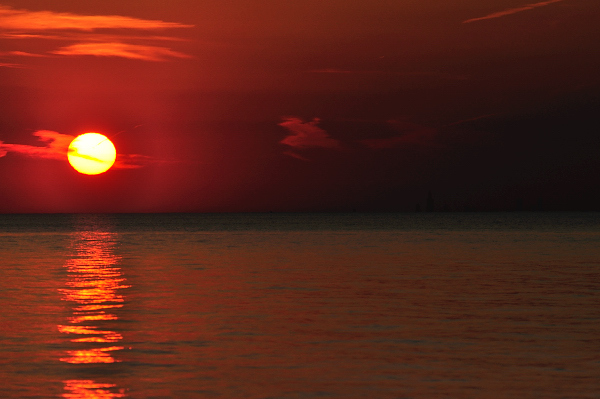 In several of the sunset shots, the skyline of Chicago can be seen on the right side of the photo. I couldn’t believe you could see that skyline from where we were. I was grateful to capture some of it. I had to play around with a lot of settings, as it’s easier to blow out the sky on sunsets than it is to capture some color. I also find it more difficult than it would seem to capture foregrounds, such as the shoreline, while trying not to completely blow out a shot. You have to work rather quickly once the sun gets low in the horizon, as you lose the light quickly, but I enjoyed trying to get a few shots while there was enough light to adjust the settings until I found a shot I liked. Though we got home really late (after midnight), I enjoyed making that trip and hope to make it again next summer. For Ginny’s birthday, I surprised her with a trip to Cat Island. She had no idea where we were going until we reached the airport. It was a lot of fun keeping that one a secret from her. We arrived in Nassau where we had honeymooned about 14 years earlier. 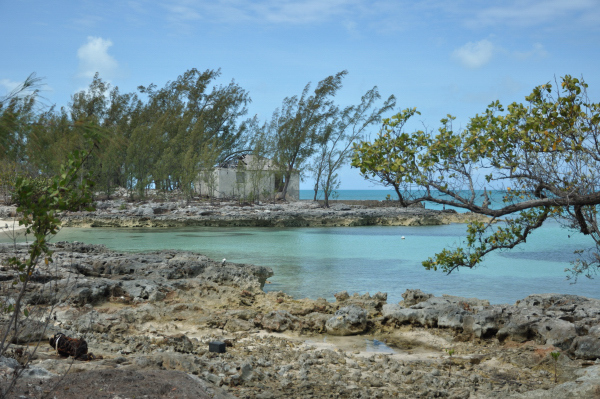 We spent one night there, and then we took a small (and I mean small) airplane to Cat Island. Cat Island has literally no commercial development on it. It’s considered and “out” island, in that it’s out there in the Bahamas. We had the beach there to ourselves, and we had a chef who prepared our meals. Each afternoon after lunch, the chef would ask what we wanted for dinner. She’d tell us what fresh foods they had on hand, and then she’d prepare these incredibly wonderful meals. We had no television to speak of, so we laid by the beach and read books. In fact, I read photgraphy books while Ginny read fiction for the first time in years. (Ginny is an editor and reads all the time, but she doesn’t often have time to read fiction.) It was, as Ginny says, “The most relaxing time I’ve ever had.” We highly recommend a trip to this part of the world if you seek only the sounds of the ocean, the dogs running down the beach, and your spouse. It was the best vacation I’ve ever taken with Ginny. She claims the same, so I’m sure we’ll be going back. I hope the photos reflect the beauty and relaxation we found on this trip.